What did I forget when I went to the beach? My sun hat. Yep. I refused to buy one down there because I've done that twice already. Two other times I've had to buy an overpriced sun hat at a tourist trap. So I just flat out refused this time. I stayed pretty lathered up in sunscreen too. I don't normally process my photos this much but I couldn't help it. I love how this vintage filter gives it an Arizona or desert feel. I hope you don't mind. I think it makes for some nice depth in the picture. More comfortable? Well, that is in reference to the fact that I am wearing shorts here. You will rarely see me in shorts but I am trying to embrace my shape, my legs and my thighs with a little more love. Sure they are not the thighs of my teenage self but they are mine and they are in good working order! I need to be thankful. Of course black shorts are very forgiving and keep it on the dressier side. I've accepted that I have cellulite and it ain't going anywhere. I think these black shorts are at a comfortable length for me. I did cut off a pair of jeans recently and I feel like they are just a little too short. I find myself just a little too wiggly in them which is sure sign that they are too short. If you are tugging at them and wishing they would pull down a little bit, then they're too short. Bummer. Do you wear shorts? Do you feel comfortable in them? Our annual beach trip is never complete without a trip to the Cherry Grove Pier. We always get a family photo here. But guess what? When I got home and downloaded all the photos I cannot seem to find the one of us all together. I don't know if it somehow got deleted from the card when I let my son use the camera for a little while or if the card spazzed out. I was having trouble with the memory card so that might be it. Ugh. Now about this dress. I am not a fan of the hi-lo dress. Had this not been a dress for zero dollars and completely free, I would've definitely passed on it. But since it was not costing me a dime I thought I would give it a try. I figured the beach would be a great place to wear something strapless and ruffled. It was. It fit right in. I still don't know about the mullet cut dress. I just don't feel great in it. I'll keep this guy around though because it's white and I love white. It came with a built in slip and that makes me happy too. There is no need at all in trying to do my hair when I am at the beach. It stayed pulled back 24/7. I added some red lipstick to this outfit to give it a little bit of pop and to give it a little more dressier feel. Caught a big one but we'll just throw it back! I had a wonderful wallet that I loved loved loved but it finally bit the dust. I was on a mission to find another one I loved just as much but on the cheap. I searched high and low and finally went with one from Target. It was one of those slim, flat wallets that had the clasp closure. And it was on clearance for $6.48. First off I had too much stuff in there and it wouldn't even close. Secondly, after it finally did close the clasp couldn't handle what I was bringing and it broke. I went back to Target without my receipt, of course, and got a store credit. I couldn't find anything that was cute and still big enough for all of my stuff. 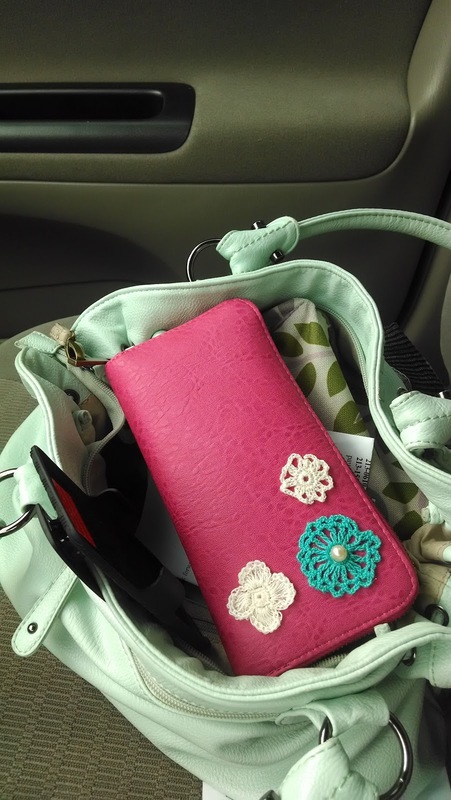 I still carry a checkbook - am I the only one? There were maybe 4 wallets out of 100 that would fit a checkbook. Of course this was Target and they seem like they cater to the college student when it comes to the women's section. Amiright? This is the wallet I settled on. A plain, pinkish, zip up. I grabbed some goodies from my trusty craft box and my craft glue. Time to Bling It Out! You can get little crochet embellishments at the craft store. I can't remember what section I got these out of. I think I might have even found them in the bargain bin. But anything flat that would work with glue would be fine to use. You could cut out a design out of fabric or felt, add decorative stitching and then glue it on. You could crochet your own design and add it as well! Unfortunately I am not that talented and I am always looking for crafts that are quick and easy. So I went with the pre-made easy to glue method. I also dug up an old string of pearls and removed one bead. Arrange how you would like it, then remove it then glue it. I'm way to decisive to go with my first choice of placement. I kept the design simple and used a good amount of glue but not so much that it bubbled out the sides. I only used one pearl because over time I knew the chances would be high for the pearl popping off. Let it dry overnight. I did come back with a toothpick and glue down some of the pesky ends that were flipping up. Your wallet will smell a little like glue for the first day. Then it will go back to smelling like the wallet it was born to be. I'm ready to ride Clyde! Remember this pin and when I tried it the first time? Supposedly you could make your own tribal tee shirt by drawing on it with a fabric pen and using some clever placement of masking tape. If you remember, the first time I attempted this I used an old white tee shirt and I made lots of smudges with the fabric marker. Well I am happy to say that this go round was a big success! I don't know if it was the fact that the tee shirt was gray or just a better texture on the tee shirt itself. I love this one so much better than my first one! I chose not to cut the sleeves the way the tutorial showed. She had cut the sleeves and then tied them in little knots. When I did that it made the arm holes too tight. I like this way better. I simply cut the neck out just right around the trim. I cut the hem off the sleeves and the bottom. I did still follow her instructions on how to cut it a little higher in the front and lower in the back. I like a hi/lo tee shirt. Makes it a little more dressier. Granola. Something that has been around for years but I never made any myself. 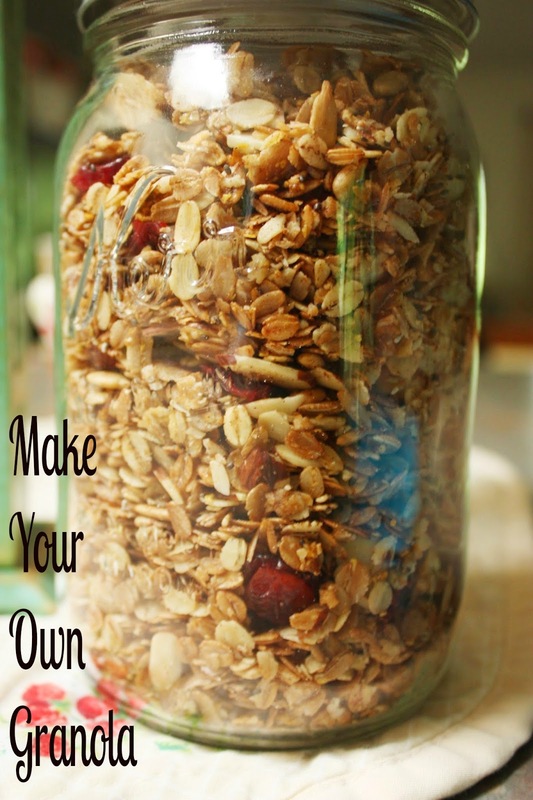 It's so easy to make and I'm wondering why I never made it until now. I like this better than the store bought kind because it is less sugary and it's not super break-your-teeth crunchy. I used this recipe and changed just a few things. Not much. Here is her ingredient list with the changes I made noted on the side. I underlined which one I used when she gave a choice. I lined a cookie sheet with aluminum foil. I need to get some parchment paper! Spread it all out. She instructs to bake at 300 degrees for 10 minutes. 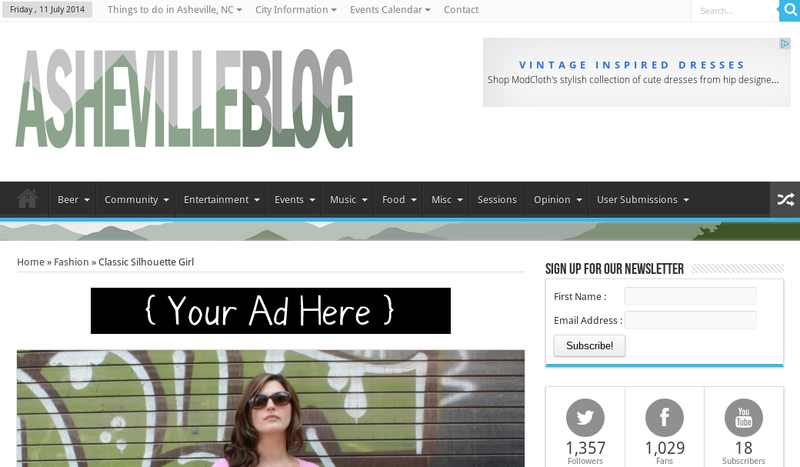 Asheville Blog is a great place to keep up on everything that is Asheville! Head on over and check it out. I'm over there talking about fashion and polka dots...what else would I be talking about? Summer break is in full swing and it's time to pull out some old standby's for easy fun. This is something I saw on Pinterest a long time ago and is pretty easy to pull together quickly when your kids are losing it from boredom. Just grab some cotton balls and old tupperware. Once we use the cotton balls for this game I just keep them for this game because they will get pretty dirty. Not really what you want to use on your face afterwards. Set out your bowls, cups or whatever you want to use to toss the cotton balls into. You can put stickies on the front for how many points you get when you make the target. The person with the least points has to clean up the cotton balls for the next round! What are those black things? Bed risers. They were sitting out because we don't need them anymore and they were heading down to the garage for storage. My son grabbed them to stack as a pyramid and we tossed cotton balls at them too. So just grab anything really! Start tossing! As you can see we didn't do very well here! Ha! The hubby and I got a chance recently to walk around downtown Asheville and go at a leisurley pace throughout our day. It was wonderful! We ate lots of delicious food including a lunch at Farm Burger, which is a place I have been wanting to try. Check out this little vintage shabby chic store behind me. Ahh I just wanted to live in the store! It was just so perfect. It's called Garage 34 if you want to swing by. 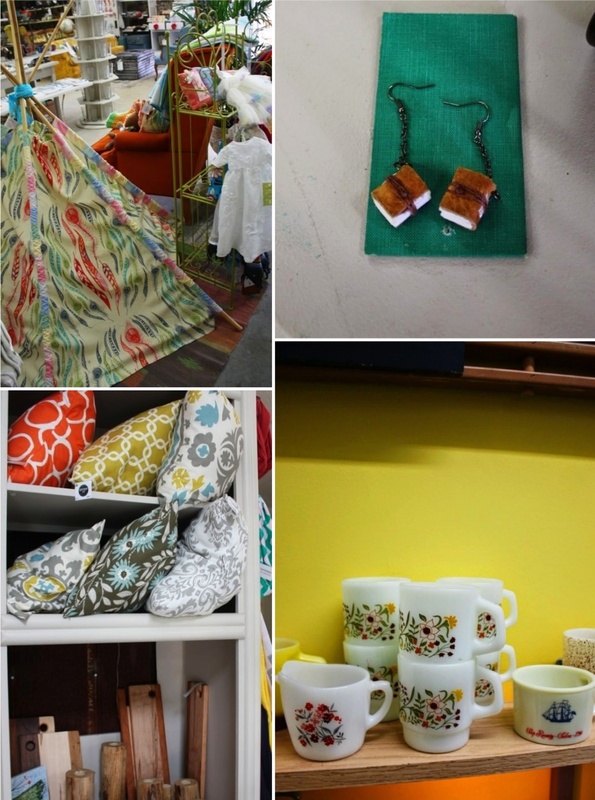 Lovely things. I went minimal with my outfit. I tried to just keep it relaxed. I used just a primer for makeup and did beach waves with my hair. You may have already been to a wedding this year or will be going to one....or planning your own! I don't know about you but I love weddings. My first wedding was a pretty traditional one with all the trimmings. My second one was very intimate and outdoors. 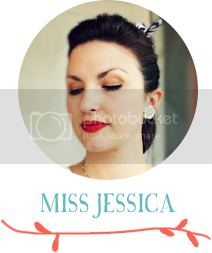 I spent quite a bit of time scouting around town for the perfect vintage wedding dress. When WeddingShe contacted me and asked me to showcase their dresses I noticed they had a vintage collection and I headed there immediately. 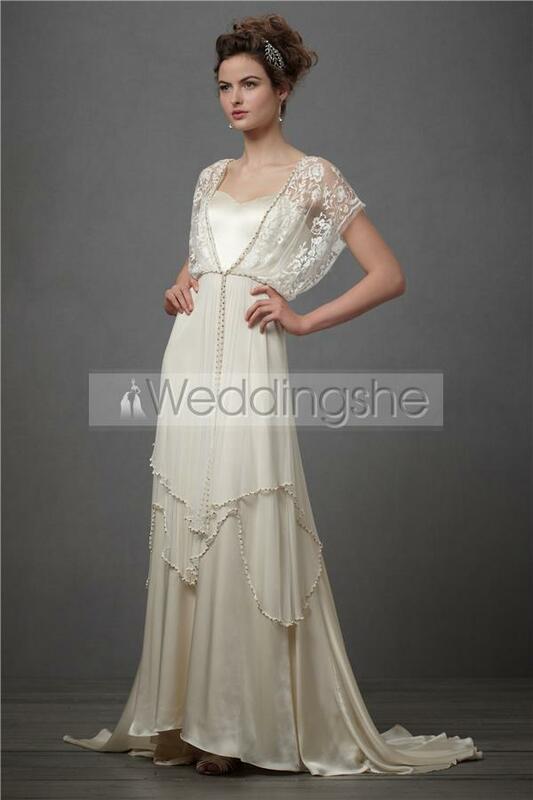 Even though I'm not in the market for a wedding dress I can't resist looking at beautiful dresses! Most of them are around $100 - $300. Aren't they gorgeous? Especially the first one. Swoon! The tea length option is a fun way to go too. Something different and retro. 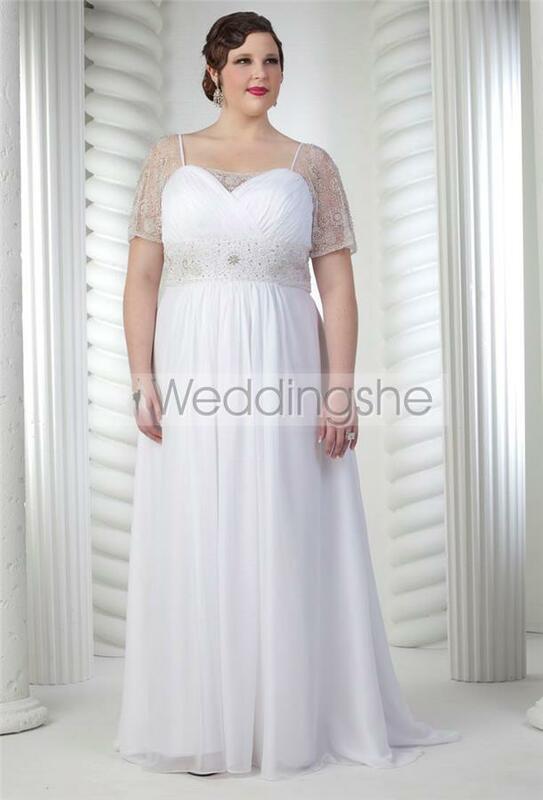 They have plus size options available as well! 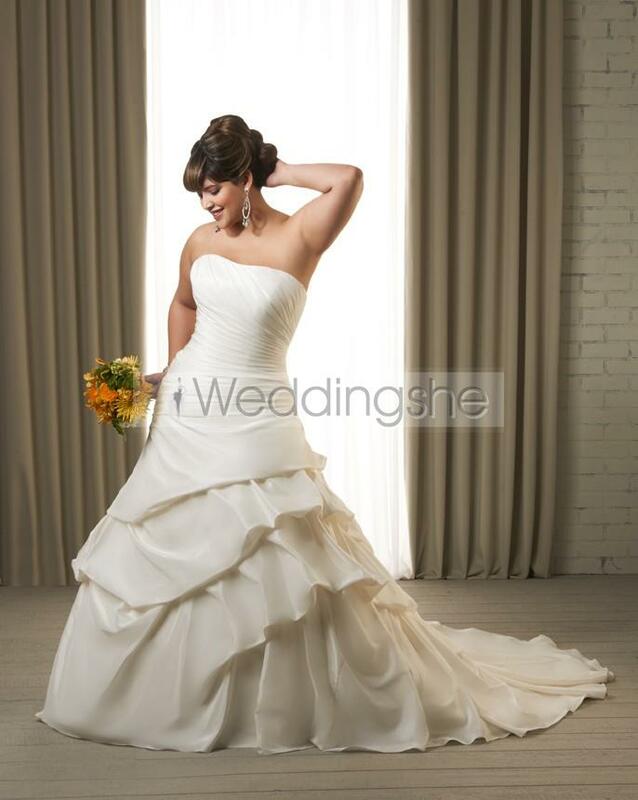 Go and check out www.WeddingShe.com for great dresses at great prices! They have prom, evening, cocktail and bridesmaid dresses as well. *disclosure: I am affiliated with WeddingShe but all of the opinions in this post are my own.